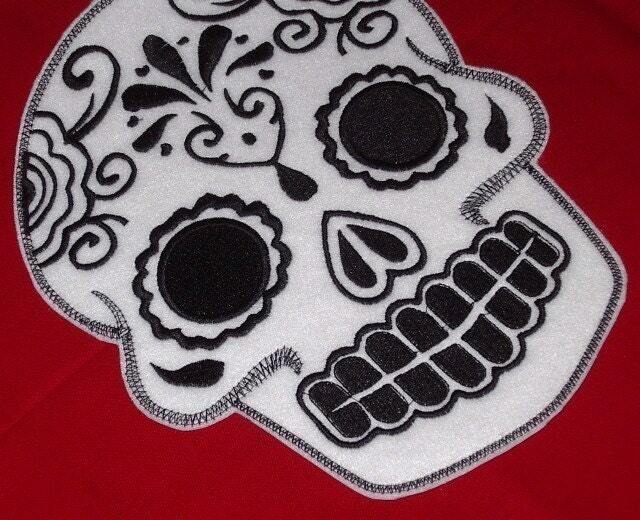 You are looking at a white felt sugarskull patch, embroidered with black thread. It measures about 4 inches X 5 inches. I do any colors, or combo you want.....let me know. I love her work. 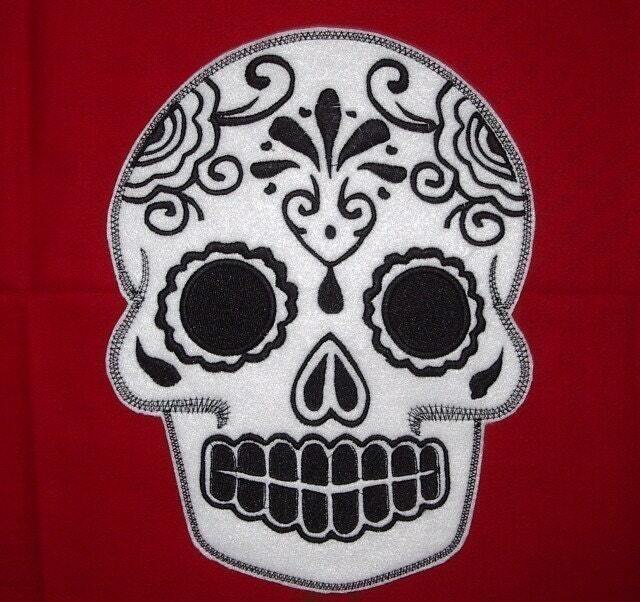 Always try to get my patches from her. Good quality, unique.